This is one of the most beautiful churches in Monaco. The port is behind us. The overpass - the Voie Rapide - shadows the church and made it very difficult to photograph. St. Dévote is the patron saint of the Grimaldi family and every January 27th, the Principality celebrates St. Dévote's Day as a national holiday. According to legend, during the Roman era a young Corsican Christian named Dévote was executed and her body placed in a boat for Africa. 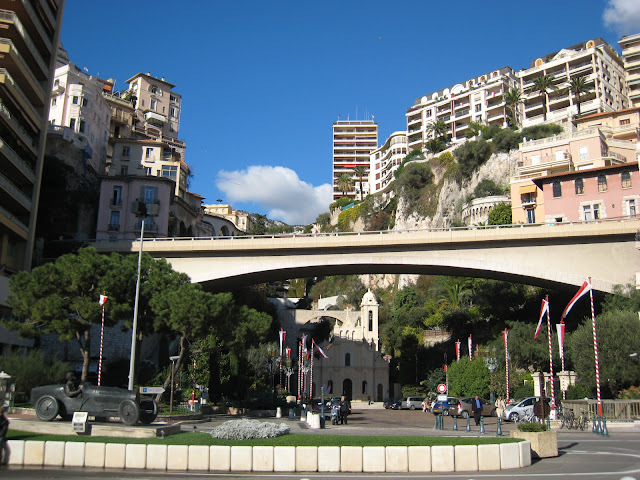 The boat drifted off course and ran aground on the coast of modern-day Monaco, where a state was founded in her honor. The Chapel, originally built in the 11th century, is at the site where, in the 4th century, the boat with St. Dévote's body landed. At the end of the 19th century, the chapel was restored, enlarged and given a new, monumental façade. Every January 26th, a boat is burnt on its square at nightfall in the presence of the royal family. Do come back tomorrow for a closer look. Yesm I really had to search for it...very crowded but great commentary as usual. I will indeed try to come back tomorrow. This is such a wonderful scene Jilly- so many things to see in this one photo. I can see the little girl in pink from yesterday's post in the distance. Have we seen that car statue in the foreground? I agree with Ann. . . .a beautiful scene!! 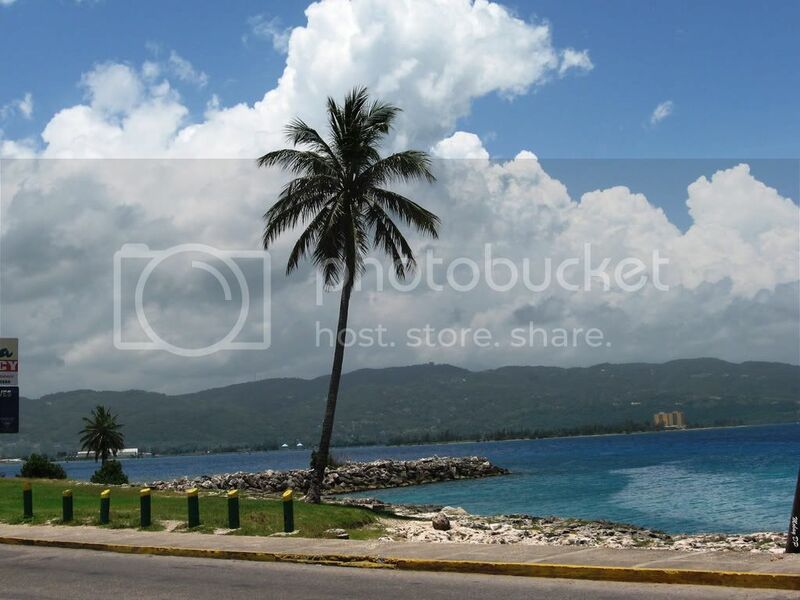 Your photos make me want to come over there so badly! In answer to your question. . .I have started classes. I got my acceptance and started my first residency and semester last week! Yes that statue was featured before. He's the first driver to ever win the Monaco Grand Prix in 1929. the post was on the 10th November. The homes on the cliff look really nice. I bet they have spectacular views of the Mediterranean Sea.